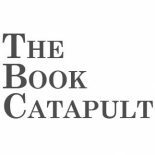 Just a quick update here: The Book Catapult is open for business (as of October 7th) but as you can see, our website remains what it has always been – pretty bloggy-looking. We’re getting there, I promise. You will soon be able to order books online, check out staff recommendations, see our event calendar, all that sort of thing. In the meantime, come visit! That’s really what this is all about – a physical brick-and-mortar bookstore where you can handle/sniff/flip-through all the books you want (and hopefully buy some of them), discover books you didn’t know you needed to read, maybe have some literature-related conversation, and just enjoy being in a space filled with books. It’s kind of the best place on earth right now, just sayin’. This entry was posted on October 14, 2017 by bookcatapult in Uncategorized.